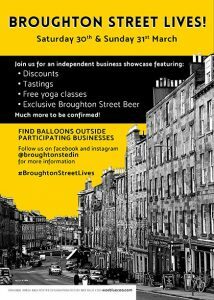 Kathy’s Knits has brought yarn back to Broughton Street, Edinburgh! Our Edinburgh knitting shop stocks a wide range of high quality British yarns in a warm and welcoming environment. You’ll find all kinds of needles, crochet hooks, patterns, books and accessories, as well as fleeces and spindles for spinning. Whether you’re a seasoned yarnie or just starting out, our shelves are stacked full of inspiring ideas and solutions. And, of course, there’s helpful support and advice on hand when you need it. 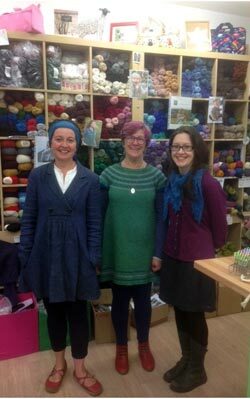 We run regular workshops, evening classes and a monthly knitting group at our shop. These are great for mixing with other knitters and learning new skills. Our website can only give you a flavour of what we offer. There’s nothing quite like seeing the yarn, feeling the texture, and being able to chat things over. So, we invite you to pop in, browse at your leisure, bring your knitting and let us help you with your latest knitting project. Join in the street’s festivities – Click for more. 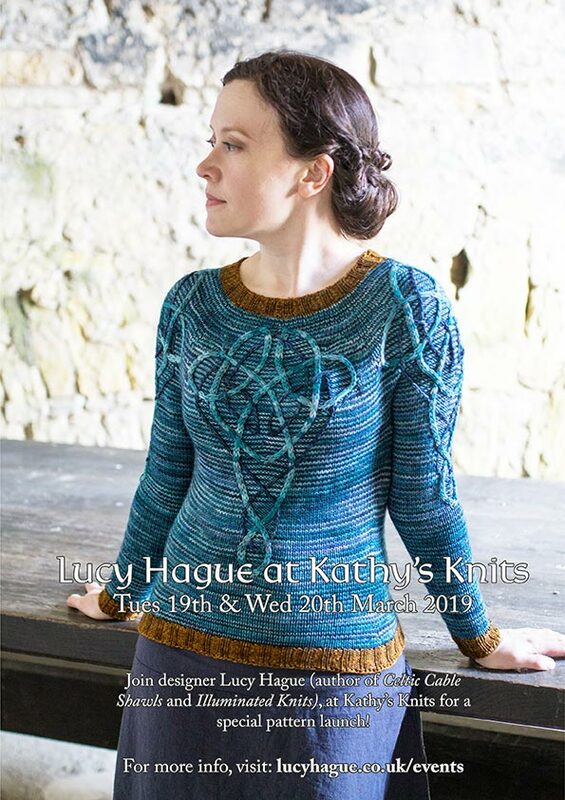 On 19-20 March, before the official event starts, Lucy Hague, the well known designer, will be launching a new pattern at Kathy’s Knits. Lucy will be at the shop to talk about her work, give advice, and sell her books and patterns. Lucy is not at EYF this year, so this is your chance to meet her. Also, On Wednesday 20th March, the Kathy’s Knits knitting group will be meeting at the Ox in Broughton Street to chat, eat, drink and knit. Guests are encouraged. You are very welcome to join in. The whole upstairs is booked out for knitters from 7pm, so please pop in if you can. 100% of the stock in our knitting shop is sourced from small, independent farms and producers from within the British Isles. This helps to support smaller, local, sustainable farms. It also minimises the impact on the environment and allows us to offer some exclusive yarns, not available elsewhere in Scotland. Our natural fibre wool, mohair and rare breed yarns are of the highest quality thanks to a combination of bulk, resilience, softness and warmth. At Kathy’s Knits 100% of our stock is sourced from small, independent farms and producers from within the British Isles. We regularly run evening and full-day classes for knitters of all abilities, from absolute beginners through to experienced yarnies. Keep an eye on our website for new classes and special events. Or, without obligation, you can register to receive early notice.